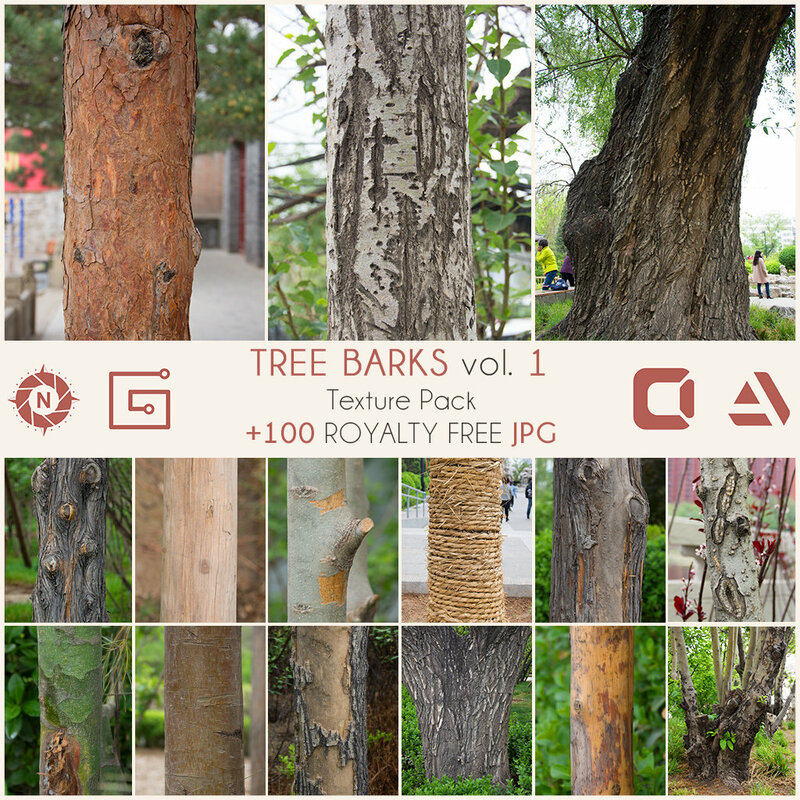 Download it on Gumroad or Cubebrush. 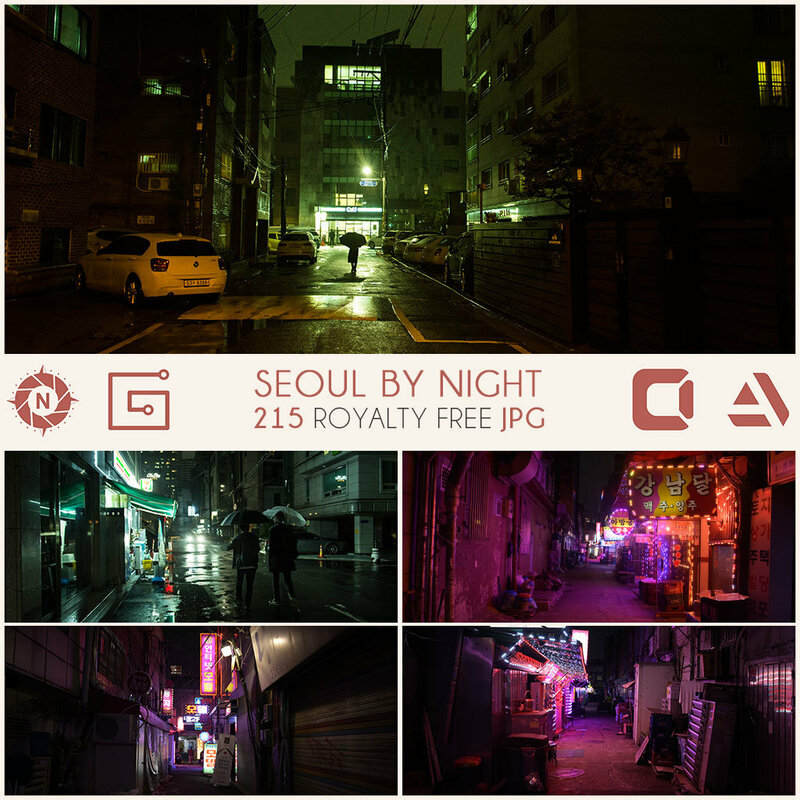 Free royalty Photo reference packs on Gumroad, Cubebrush and Artstation. 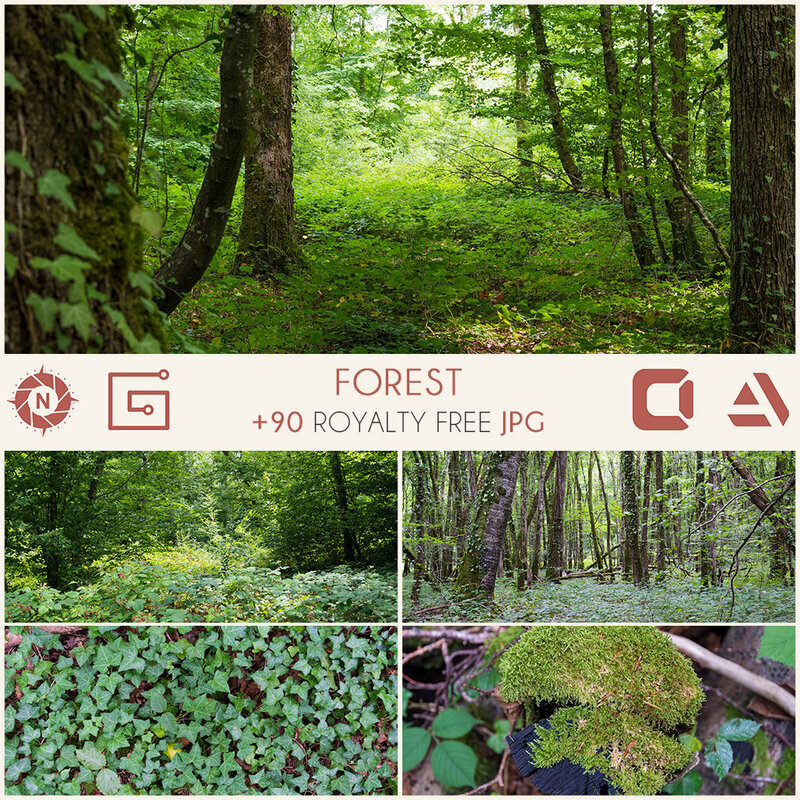 The Photo reference pack Foliage was shot in Lyon's Botanic Garden. 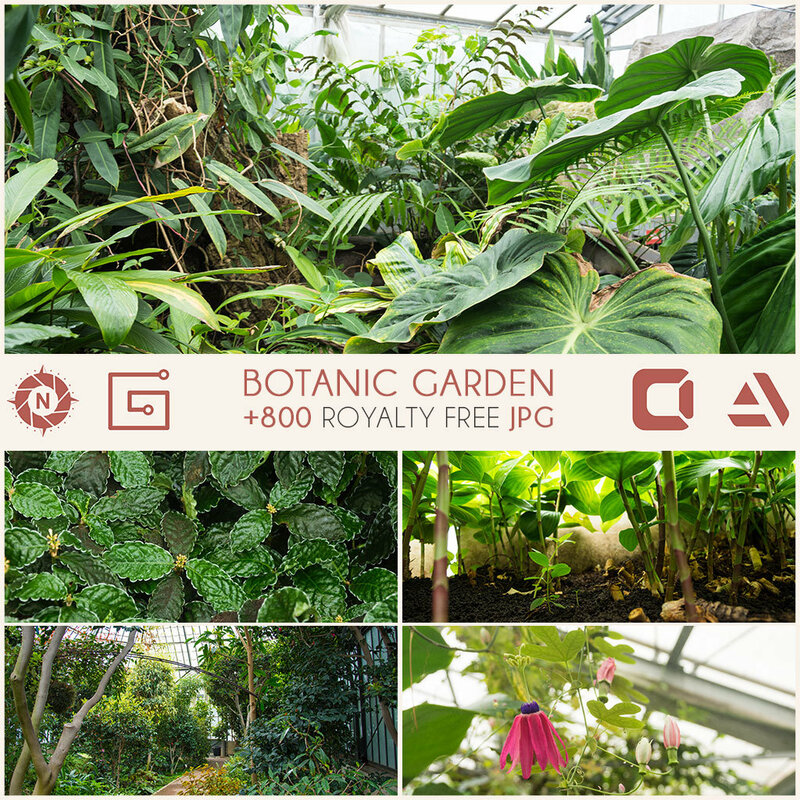 You will find plenty exotic plants and inspiring photo composition for your artworks. 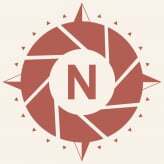 I like tiny universe like the ones you can play in Pikmin so you will also find some close ups to give you ideas to create your universe. 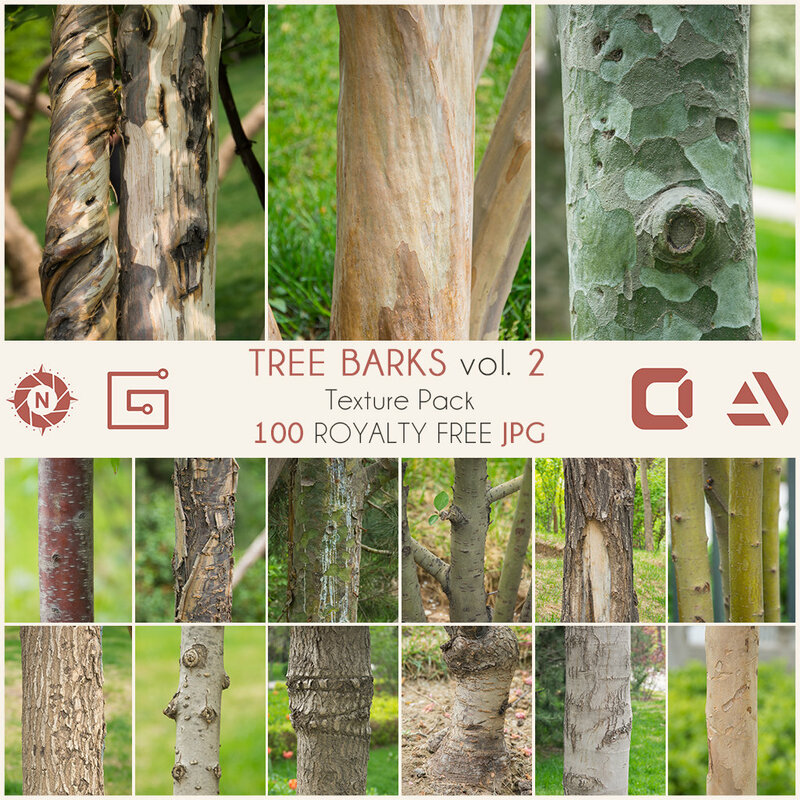 1st volume of the Texture Reference Pack Tree Barks. 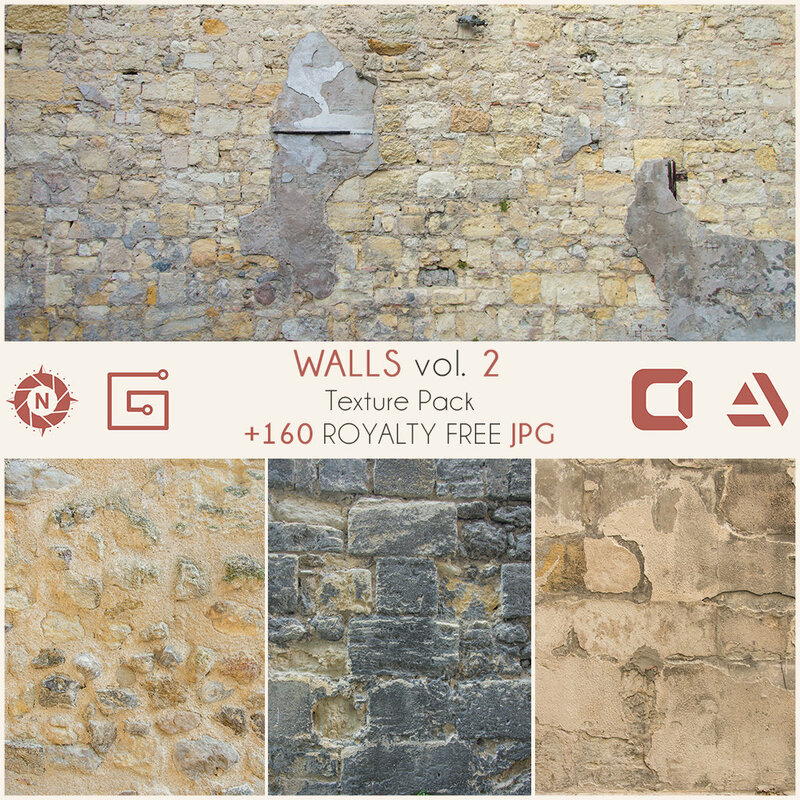 Variations & details, if you are a fan of Substance Designer, you will find all you need to create awesome procedural materials. Damned they carved all of that in the mountains, giant Buddhas, tiny Buddhas, relatively normal sized Buddhas and all of their History. 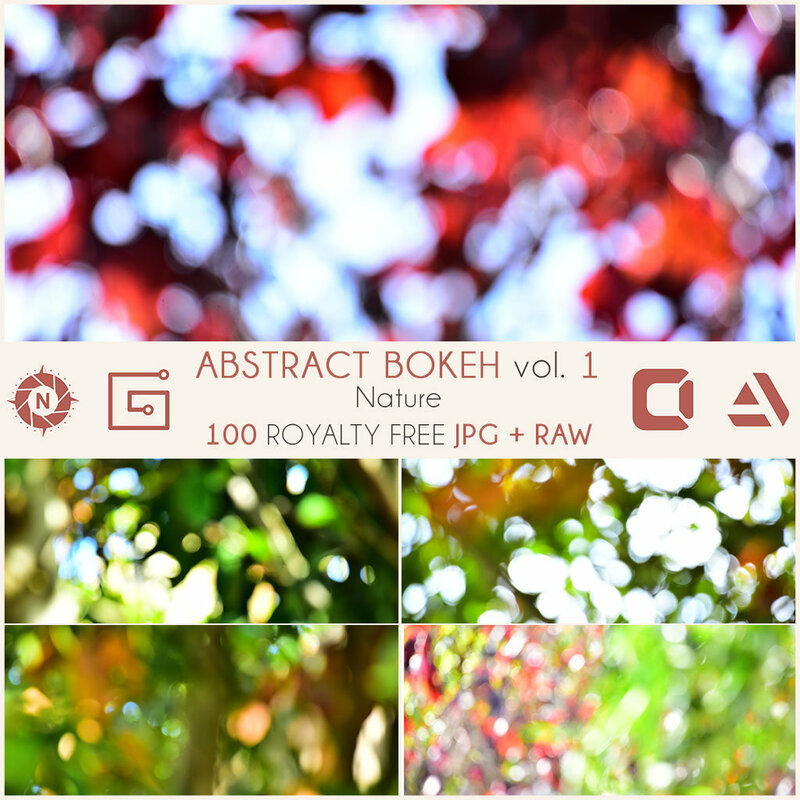 1st volume of the Texture Reference Pack Rocks. 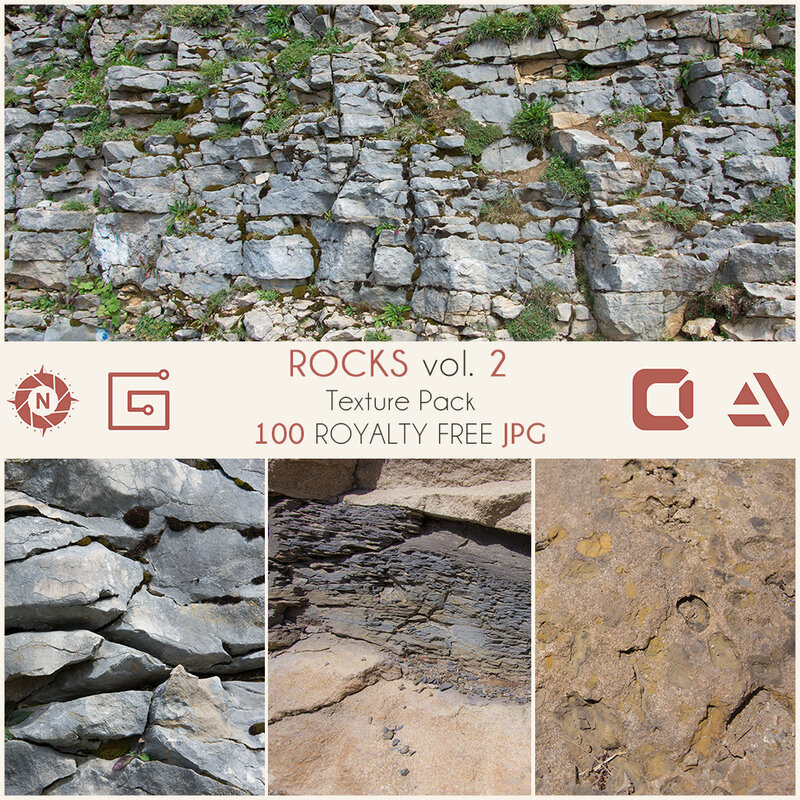 Natural or man made, this pack gather rocks references from walls, grounds, floors, stones, cliffs and more ! 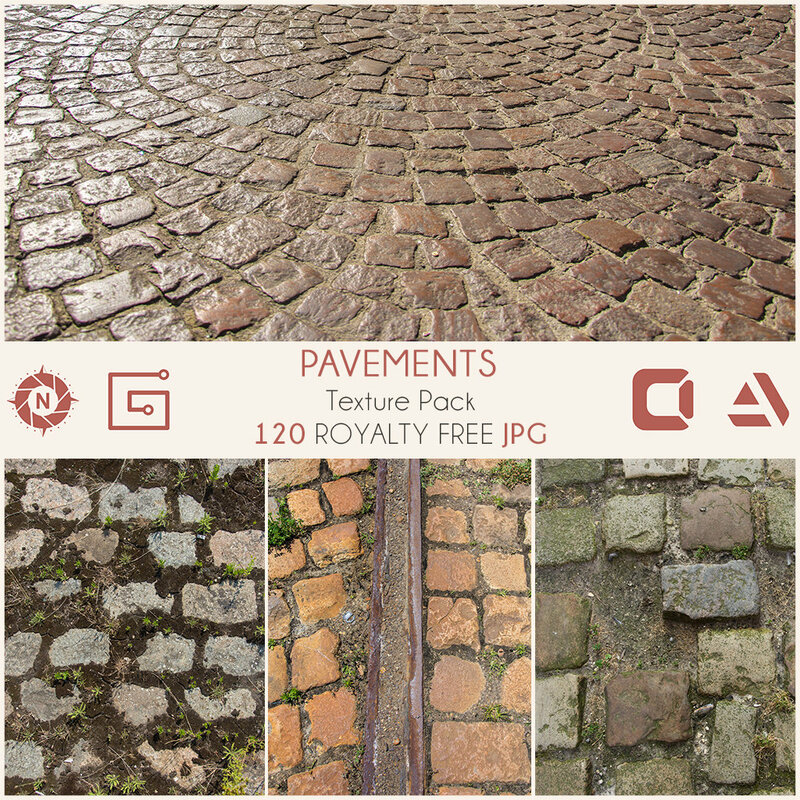 Variations & details, if you are a fan of Substance Designer, you will find all you need to create awesome procedural materials. 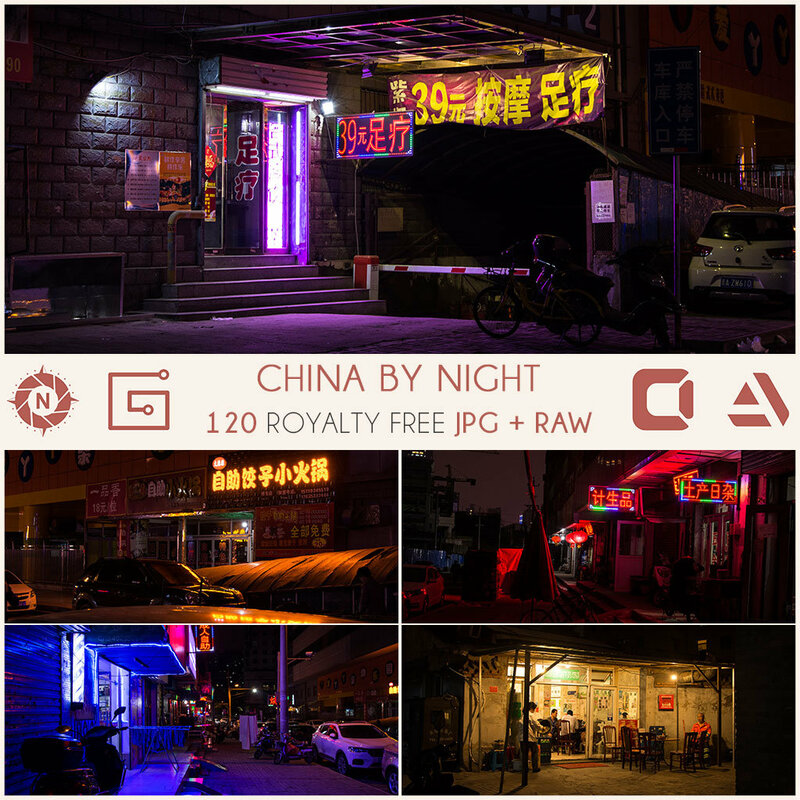 Walking down the streets of Taiyuan at night, I felt that the lights make the poor neighborhood more poetic.There is no electric pole so the streets are only lit by the people lights, which I think, tells a beautiful story in a way that there are only points of interests between darkness. 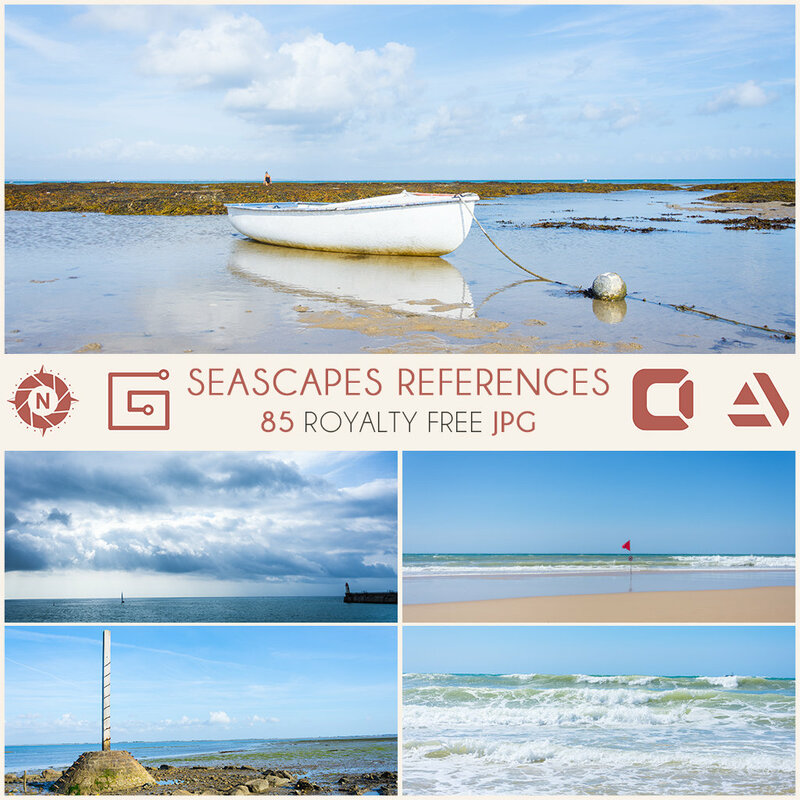 2nd volume of the Texture Reference Pack Rocks. 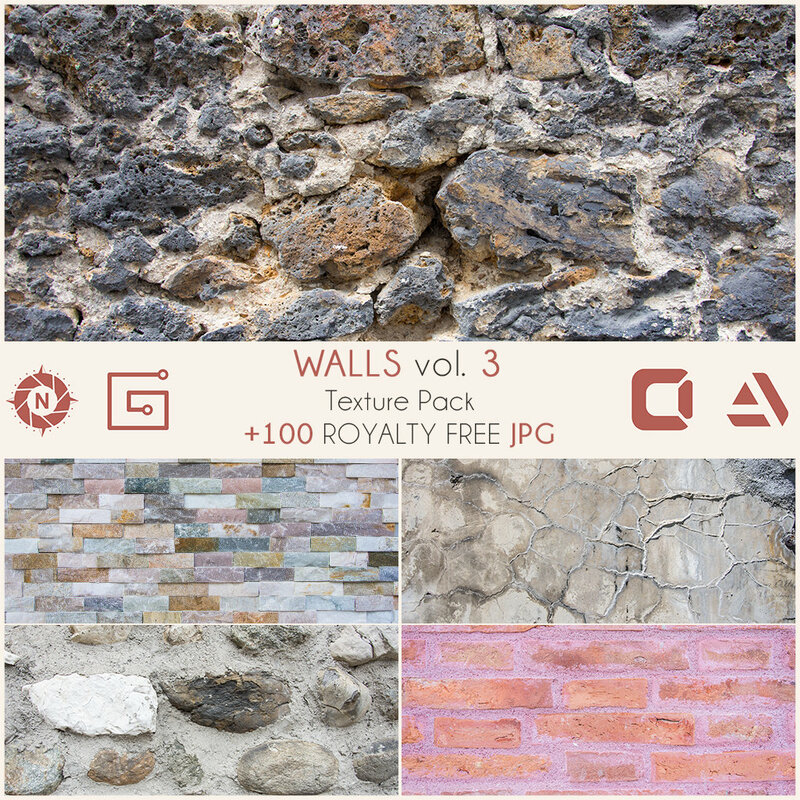 Natural or man made, this pack gather rocks references from walls, grounds, floors, stones, cliffs and more ! 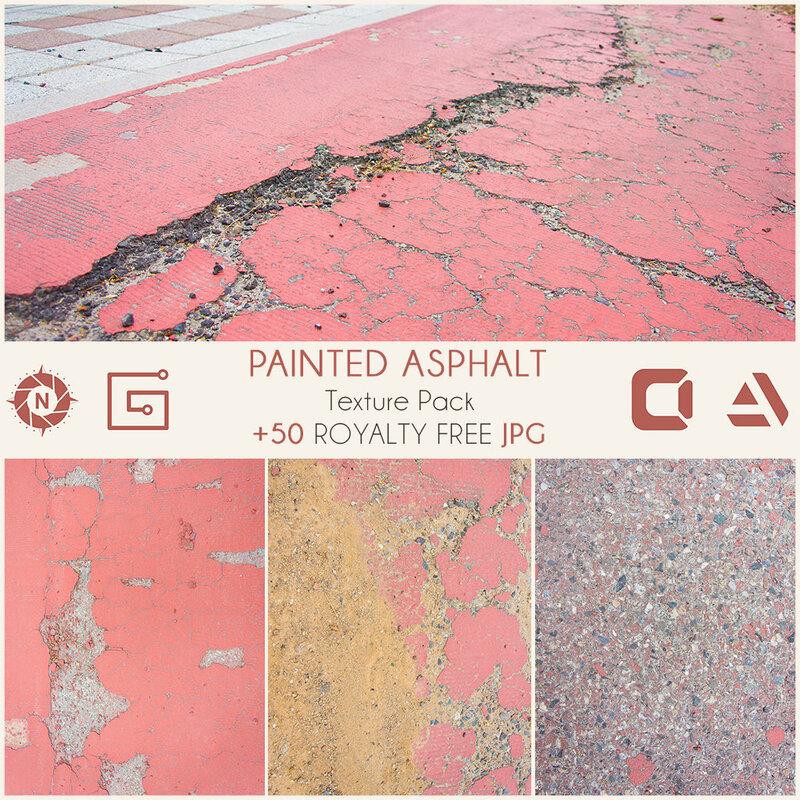 Variations & details, if you are a fan of Substance Designer, you will find all you need to create awesome procedural materials. 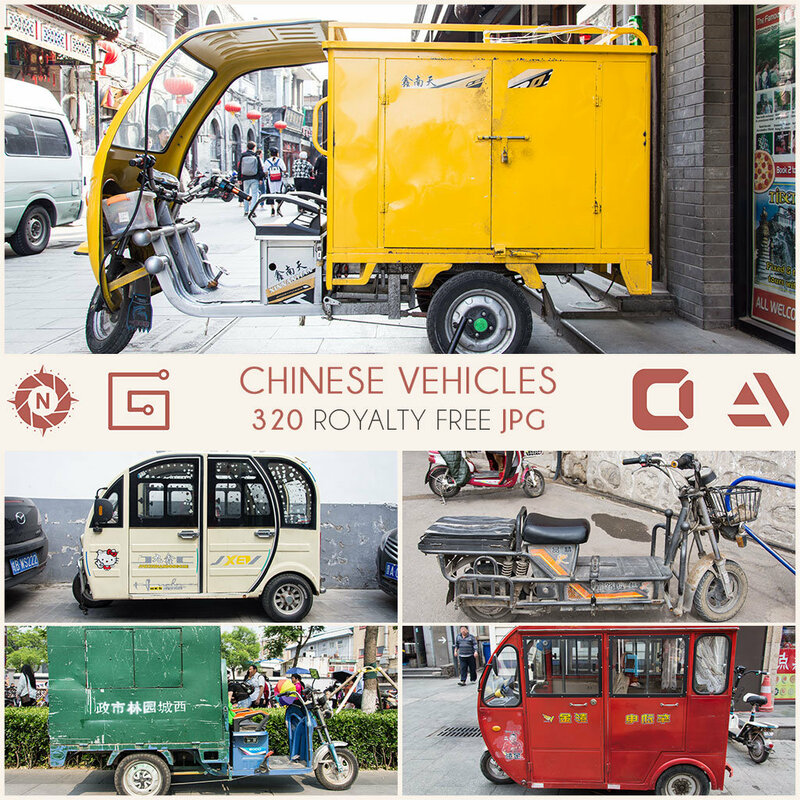 Walking around China I couldn't help to notice that vehicles are also a big part of the Chinese culture nowadays. They all have something that makes them unique. I don't know if it is because I am a foreigner but I feel like there are more story telling into these vehicles than ours. Also, Chinese people seem to like them very much because pretty much all of them are customized... or damaged. 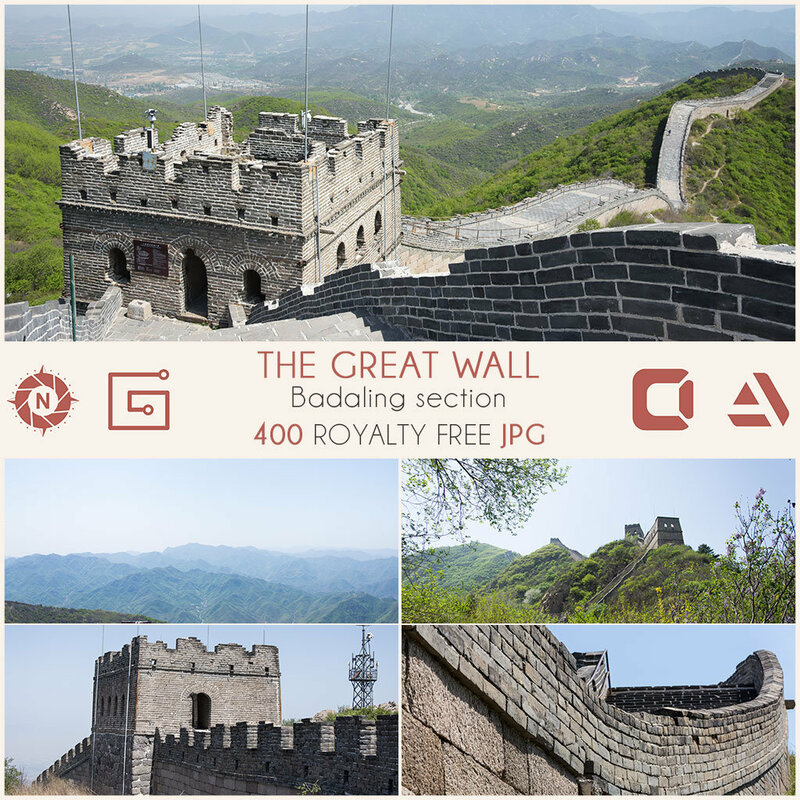 I went hiking on the Badaling section of the Great Wall near Beijing. This section is well preserved and there are not too many tourists (almost none actually), which was very nice. Probably because this hike is 6 km of 20 000 steps, hmm... It is said that you are a hero once you get to the end of it. I guess I'm a hero and I brought back this reference pack. 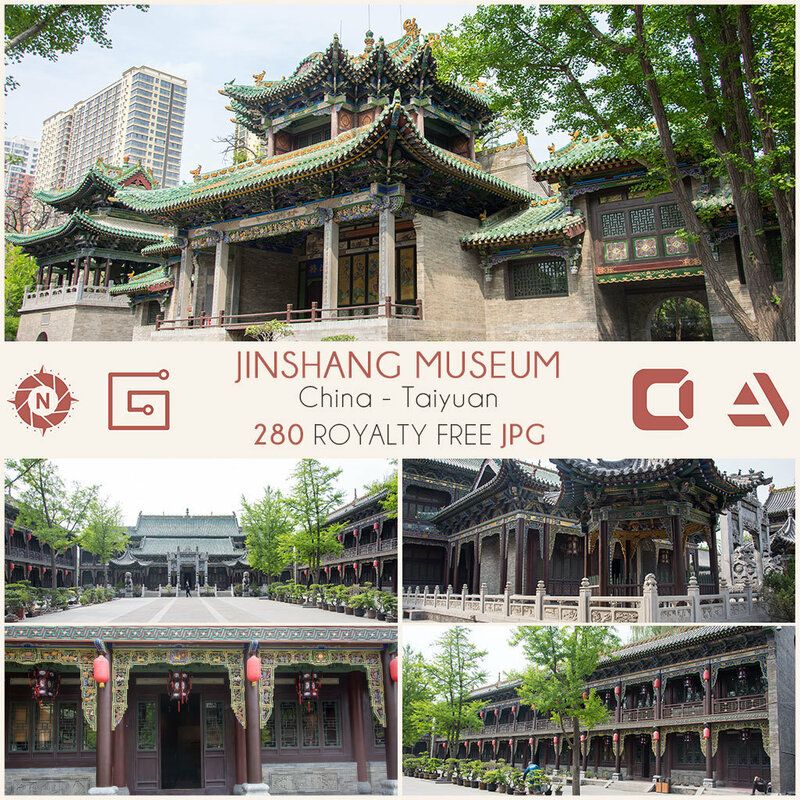 I spent an afternoon discovering a part of Chinese History in this museum, you'll get some nice architecture references, sculptures, old stuff and even bonsaïs. 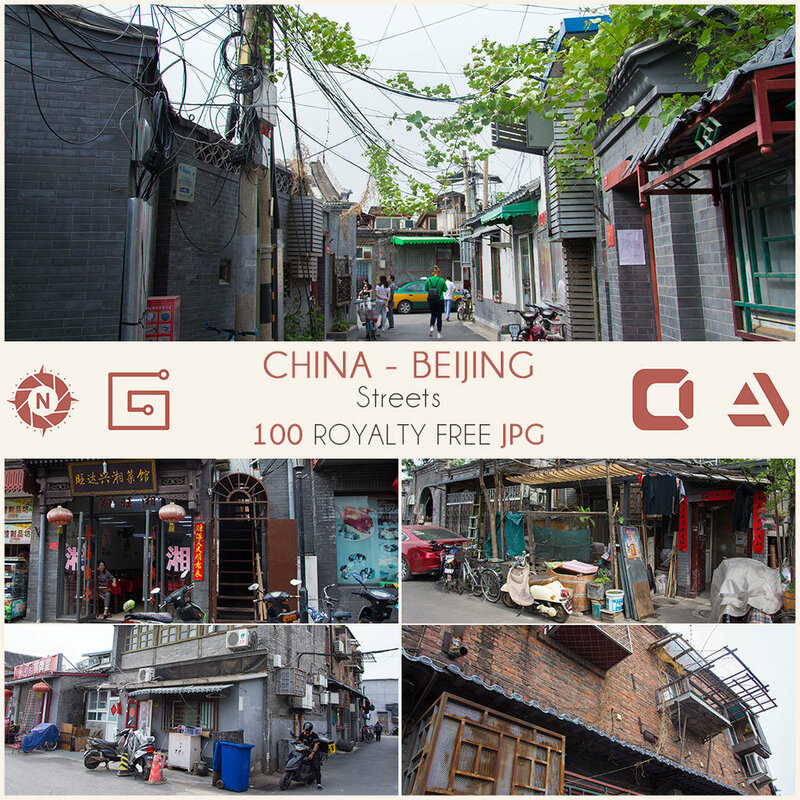 What traditional Beijing streets look like you wonder ? I can tell you that they are half straightly built and half hand-crafted filled with too much cables in the sky and local props on the ground. 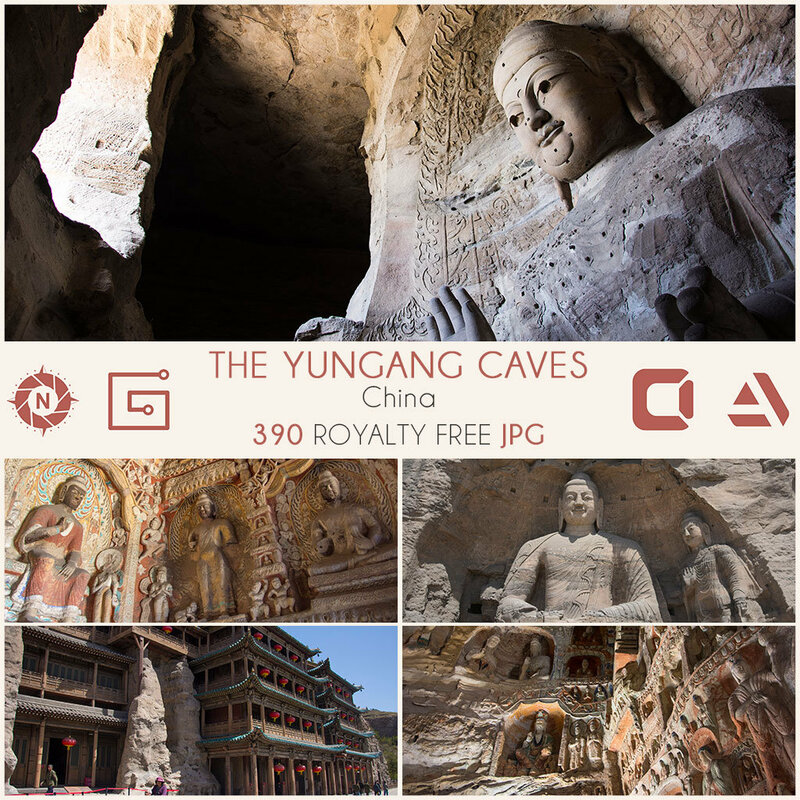 This pack is ideal to create strong storytelling in the fantasized Asia of your choice. 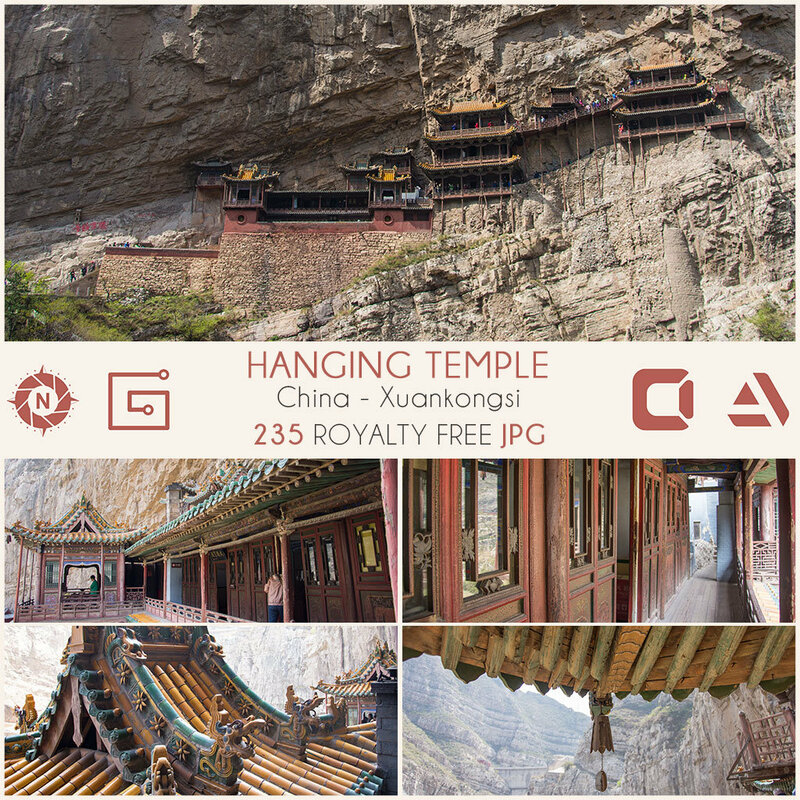 Are you looking for epic Chinese architecture ? Then this pack is for you ! 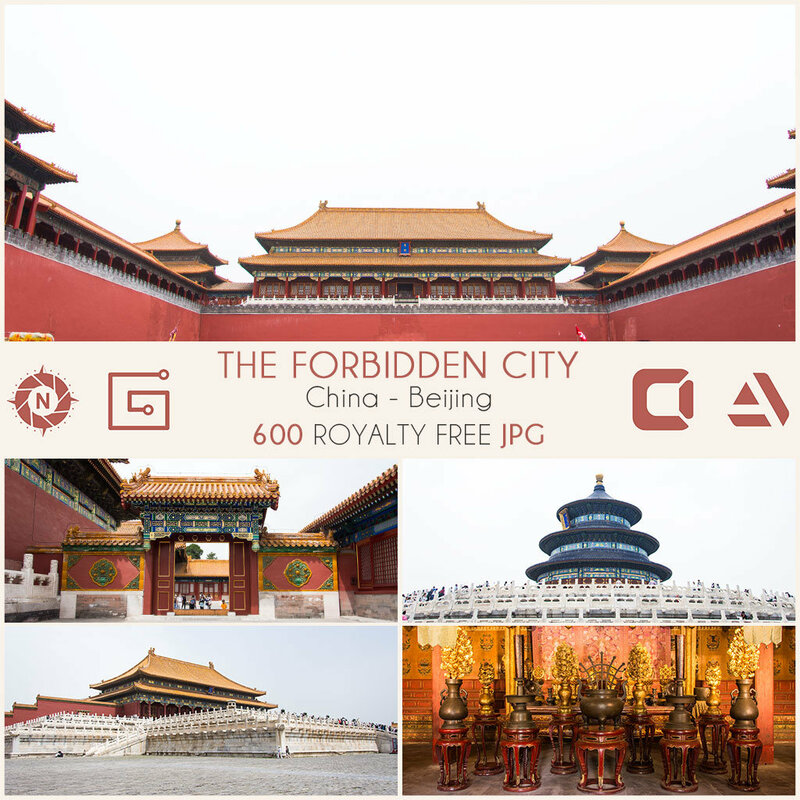 The Forbidden City is huge (my feet still hurts), colorful and very modular. 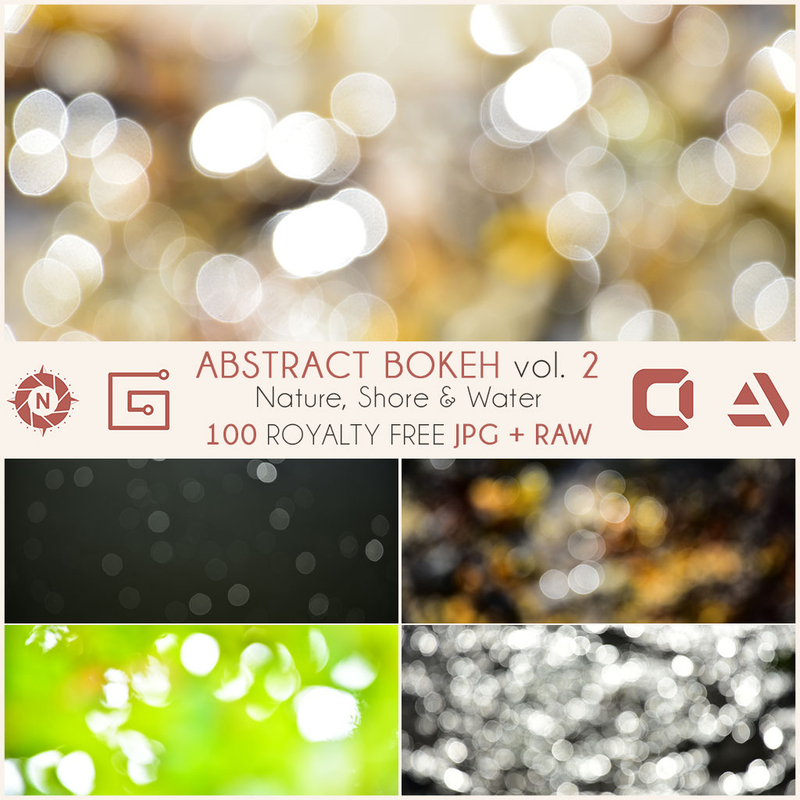 In this texture pack you will find Bokeh from nature, black water and shore. 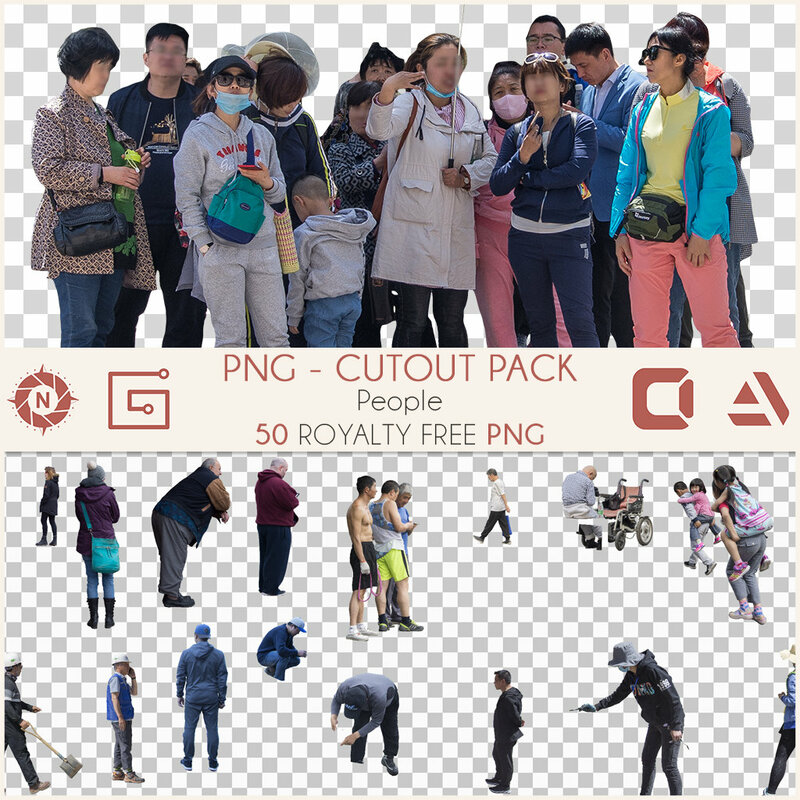 Are you tired of wasting time cutting out images of people ? 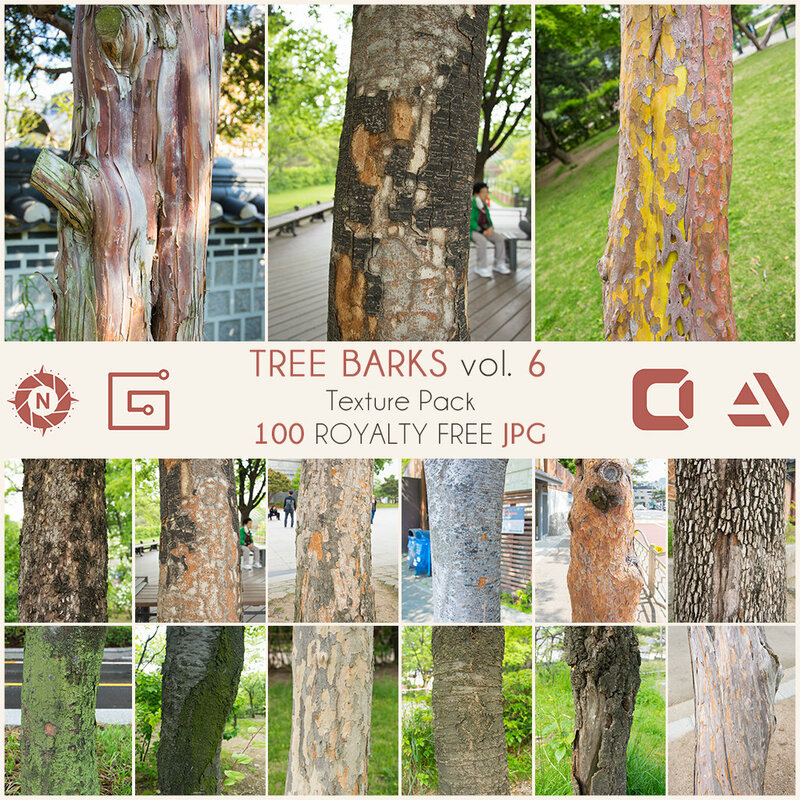 If yes, Masked Photo Pack: People Volume 1 is made for you ! 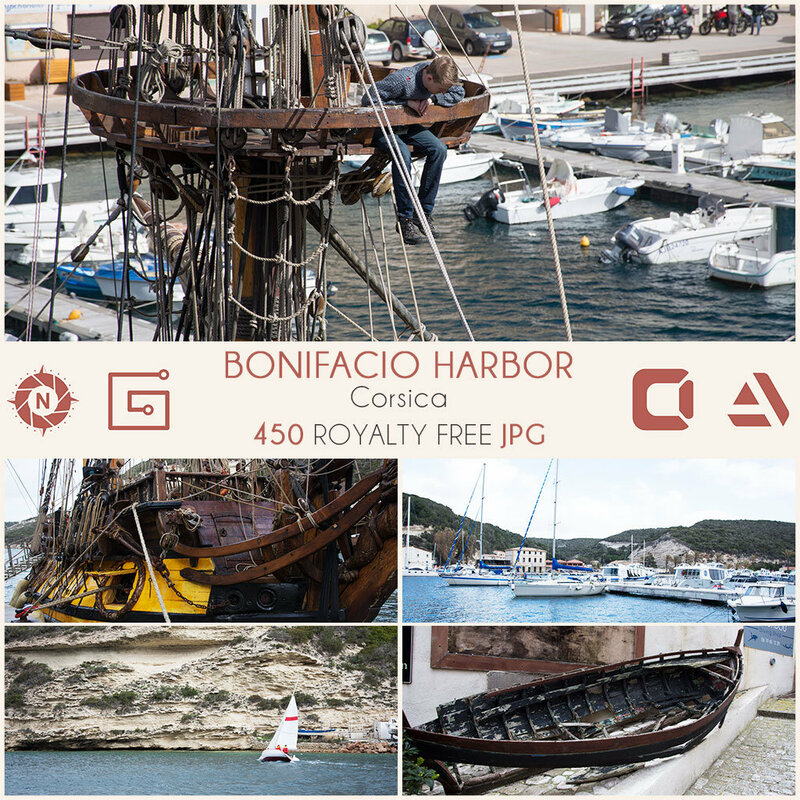 You will find 50 photo-bashing ready images of people that will save you some time to focus on your art. This is where I grew up, I played a lot in this nature when I was a kid. This is one of the first pack I made as a tribute to my childhood. 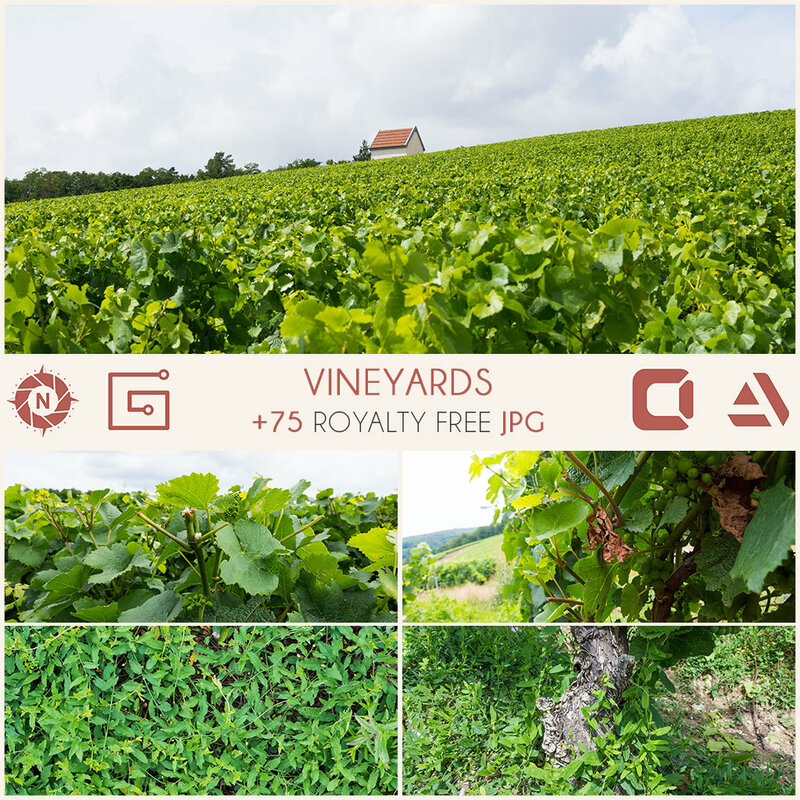 This is where I grew up, between champagne caves and infinite hills on vineyards. This is one of the first pack I made as a tribute to my childhood. 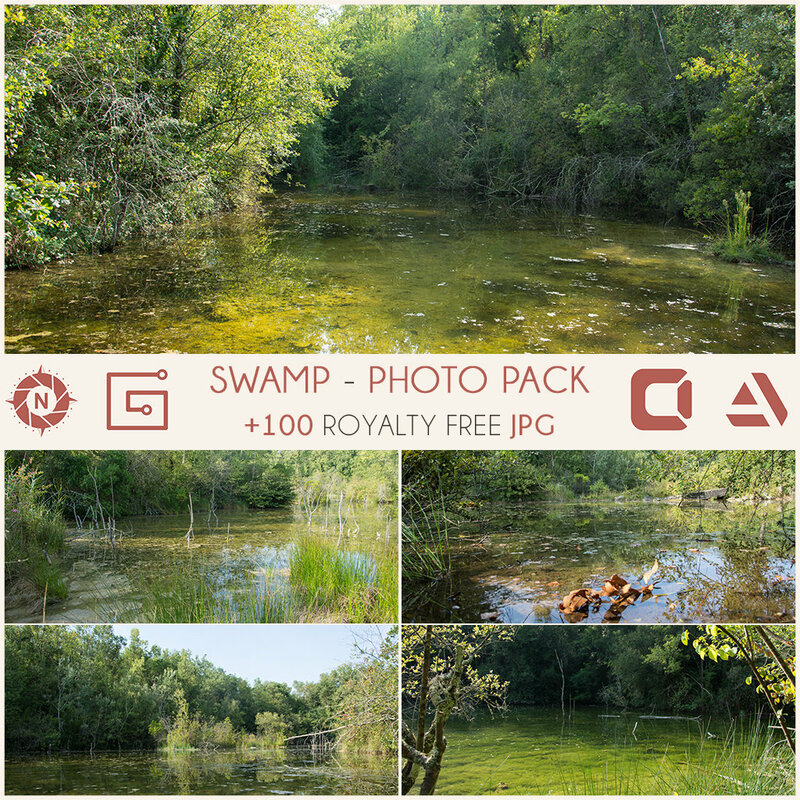 DescriptionI shot the Photo Reference Pack - Swamp at the "Parc de l'Ermitage". 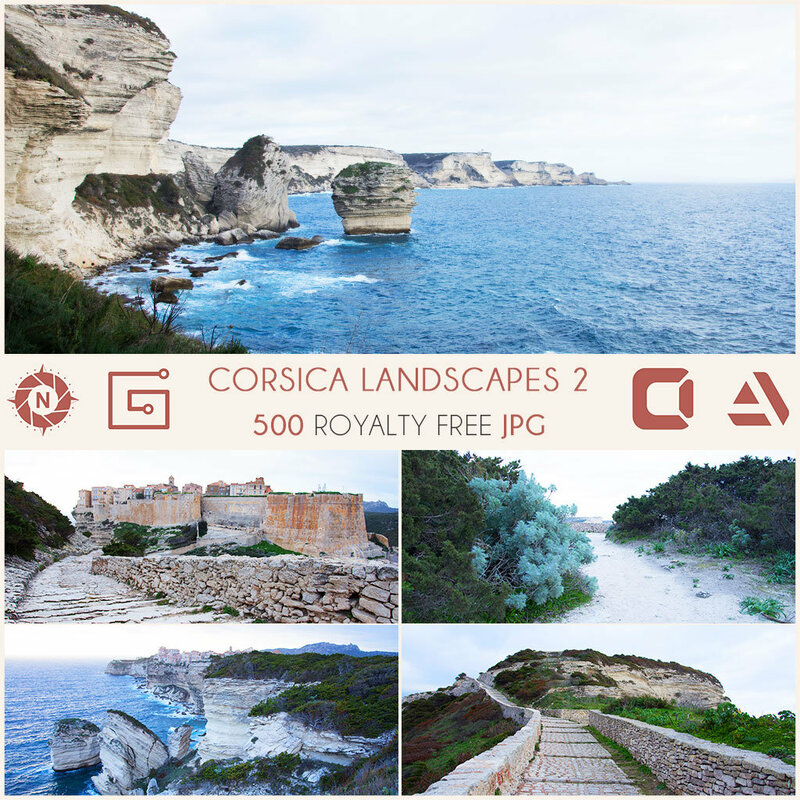 I didn't plan to create this photo pack at first, I wet to this location because there is a beautiful lake. But at some point around the walking path of the lake, there is a small path hidden by the vegetation. This looked like a "call to adventure" for someone like me and after fighting with brambles, mosquitoes and wilderness, I finally discovered these desolated landscapes, the "dark side" of the lake. 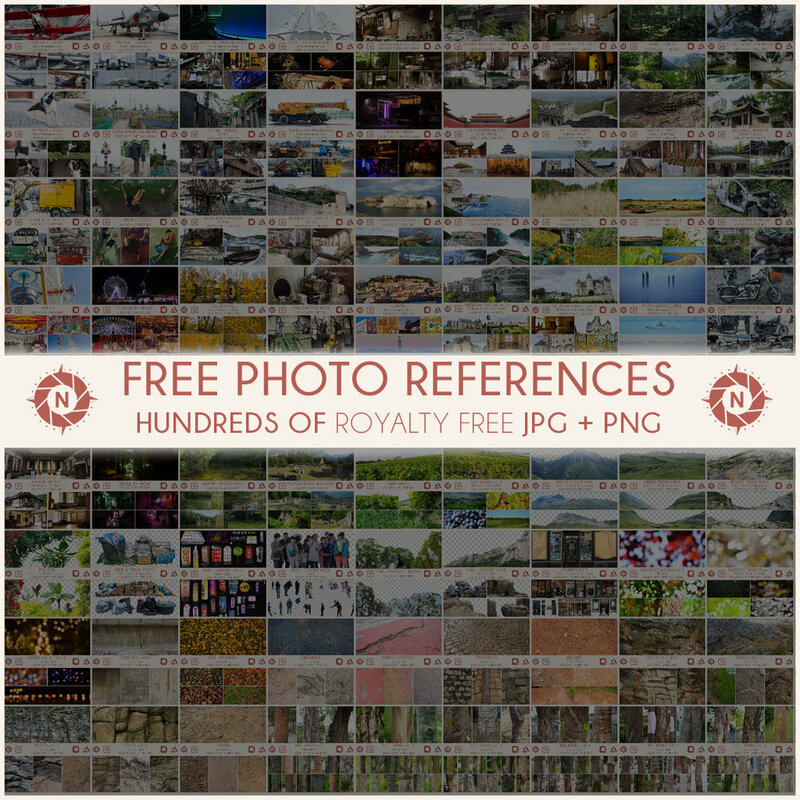 3rd volume of the Texture Reference Pack Rocks. 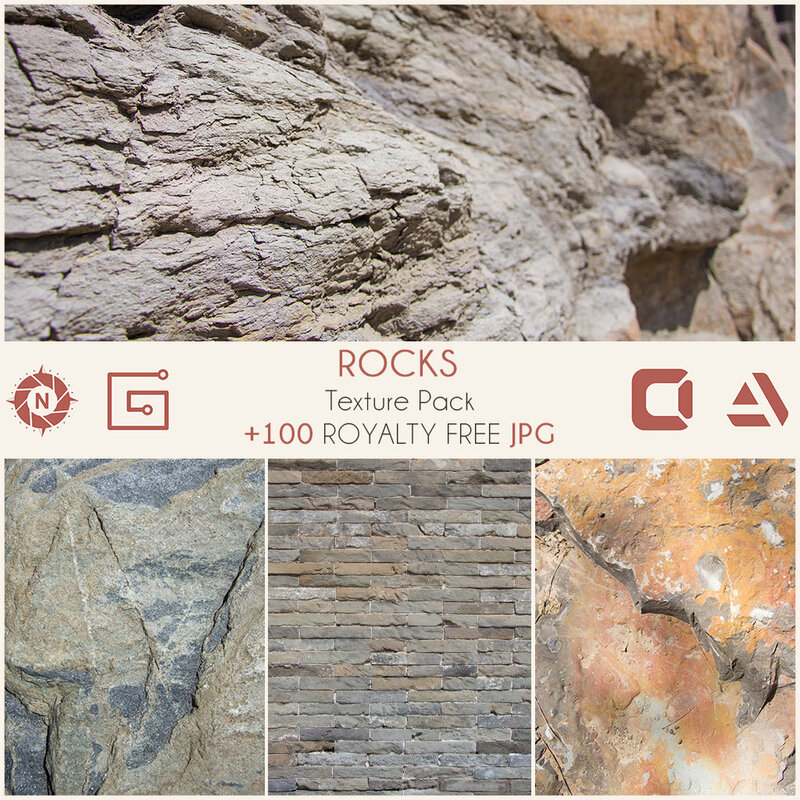 Natural or man made, this pack gather rocks references from walls, grounds, floors, stones, cliffs and more ! 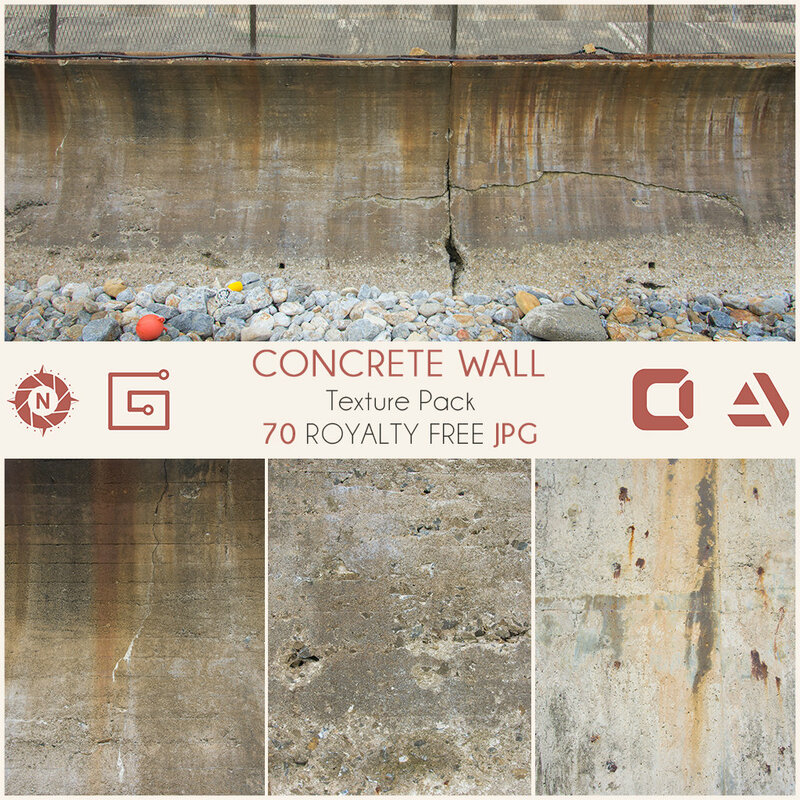 Variations & details, if you are a fan of Substance Designer, you will find all you need to create awesome procedural materials. 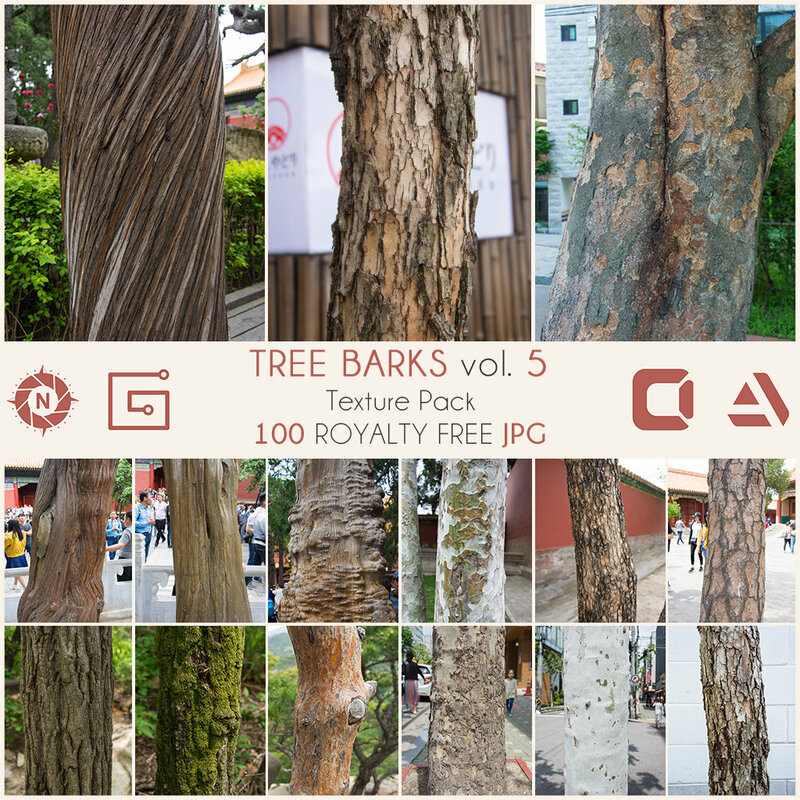 3rd volume of the Texture Reference Pack Tree Barks. 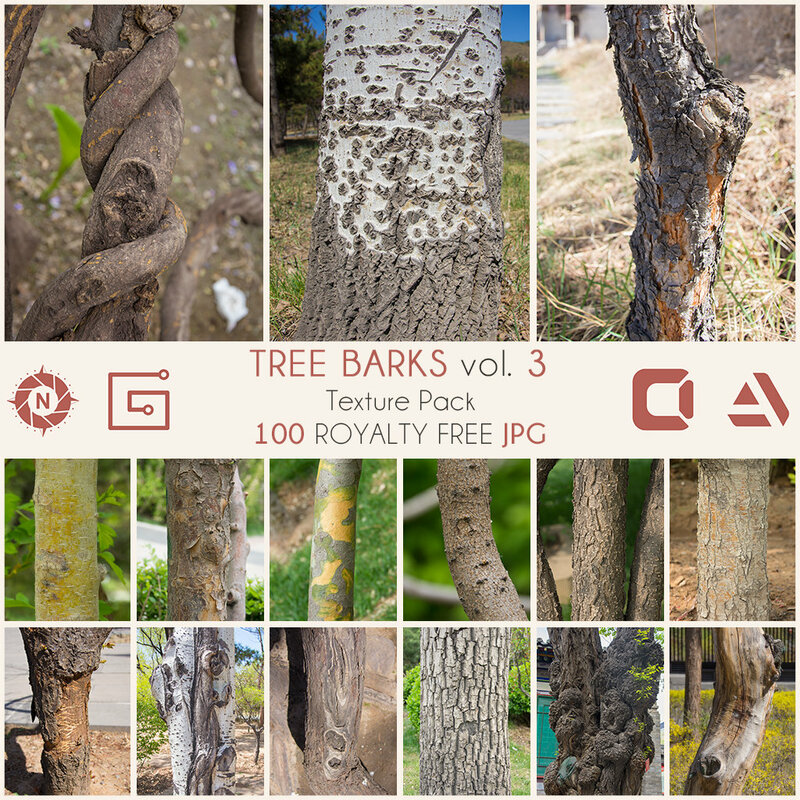 Variations & details, if you are a fan of Substance Designer, you will find all you need to create awesome procedural materials. 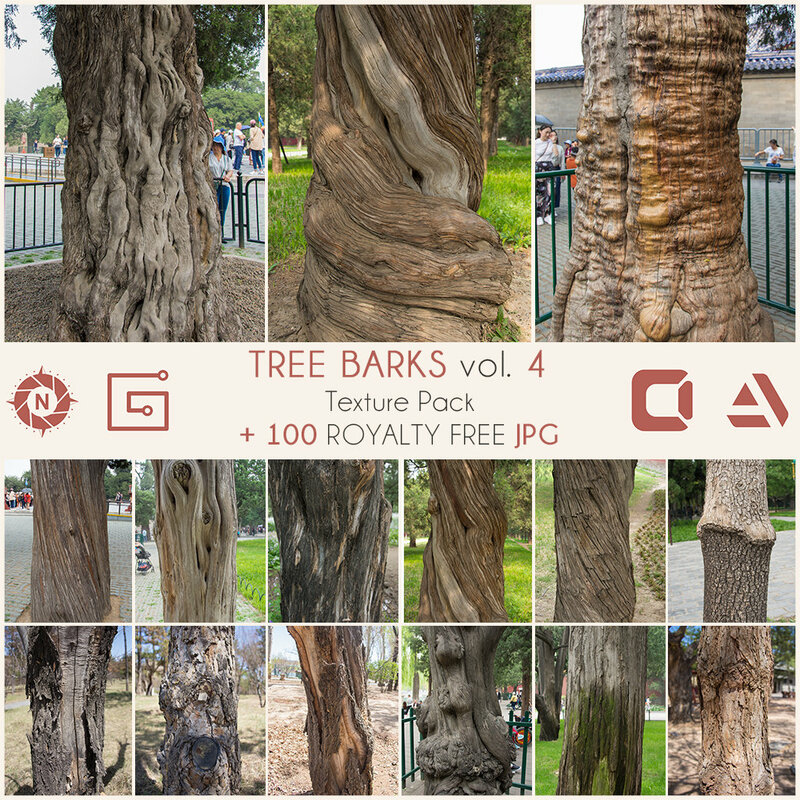 6th volume of the Texture Pack Tree Barks. 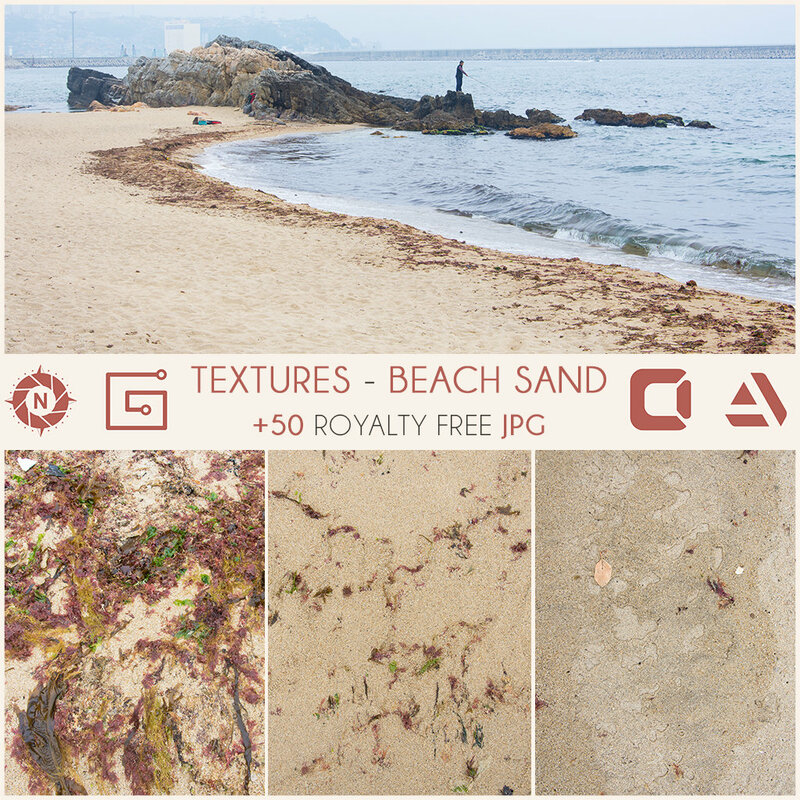 Variations & details, if you are a fan of Substance Designer, you will find all you need to create awesome procedural materials. 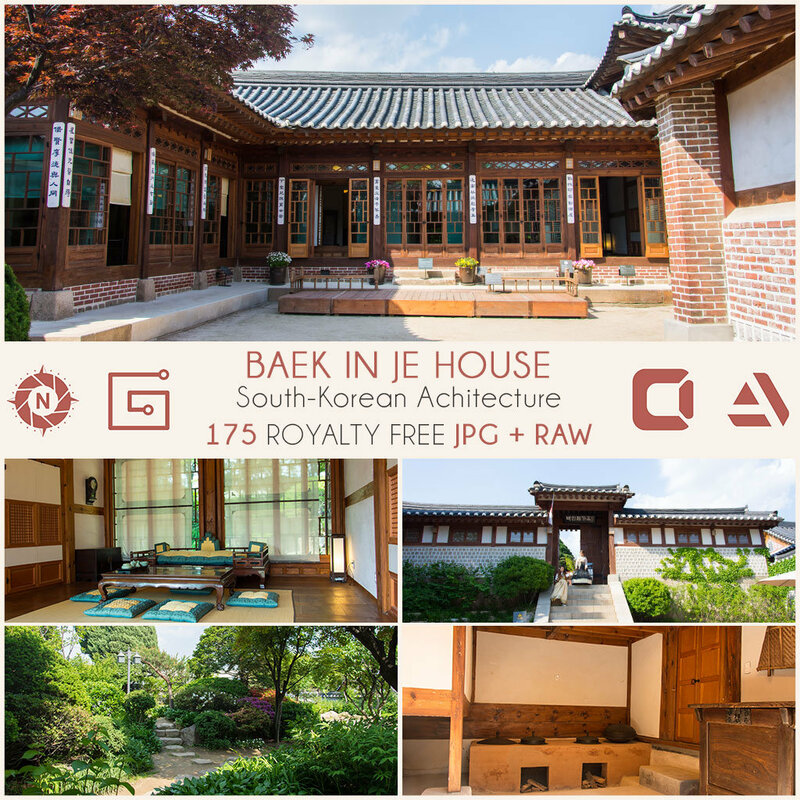 The Baek In-je House is a glamorous mansion with an unforgiving past. Built in 1913, the house was constructed by a pro-Japanese business tycoon with the intention of utilizing the mansion for political purposes. 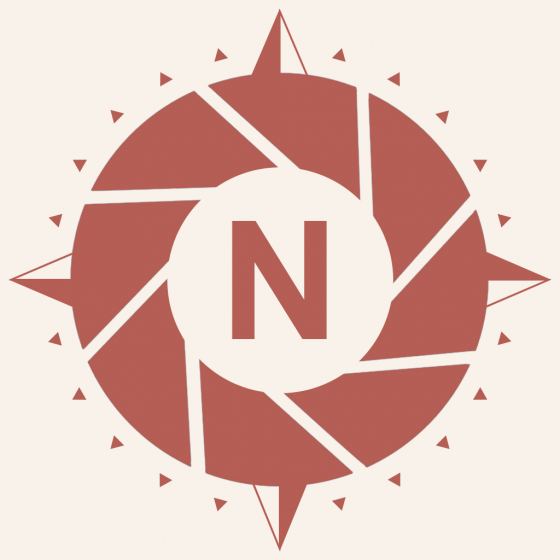 Japanese housing elements such as Tanami rooms, a middle corridor, and black pine can be found, all used as a method of proving his allegiance to the Japan. 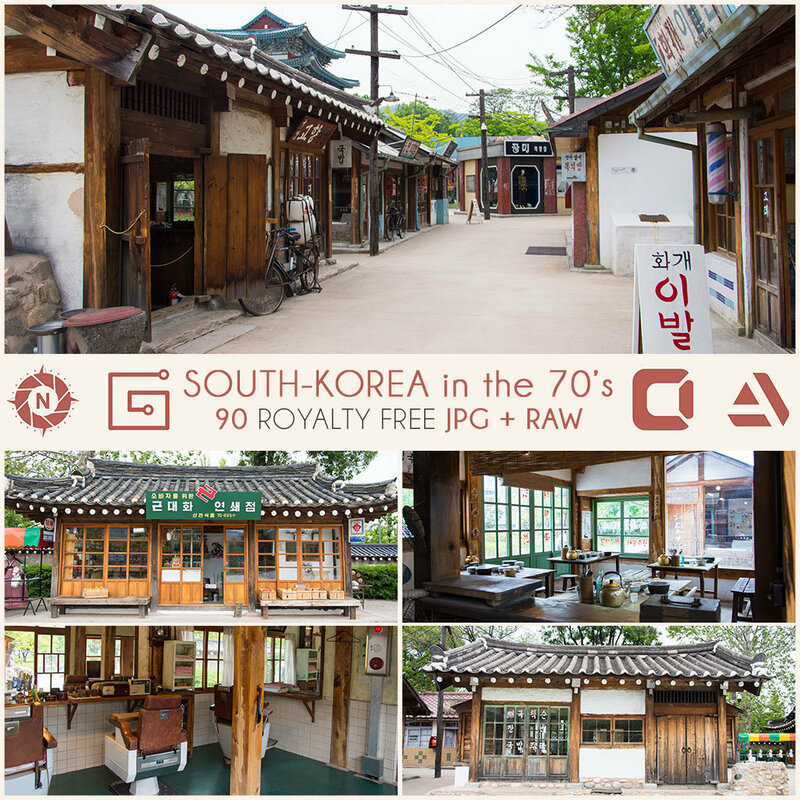 Located in Seoul, the Namsan Hanok Village is composed of five hanok houses. 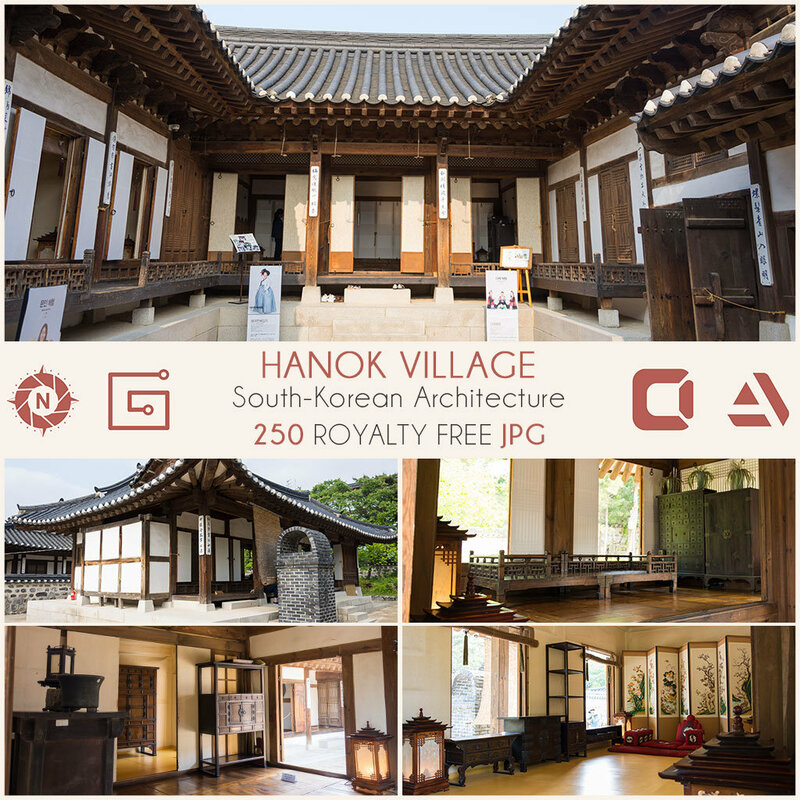 A Hanok is a traditional South-Korean house and these were remodeled from the Joseon Dynasty and over a range of social classes, from peasants to aristocrats. The furniture in the houses is arranged to help guests understand the daily lives of the past, and the clean, traditional houses, as well as their antique items provide a great photo op. 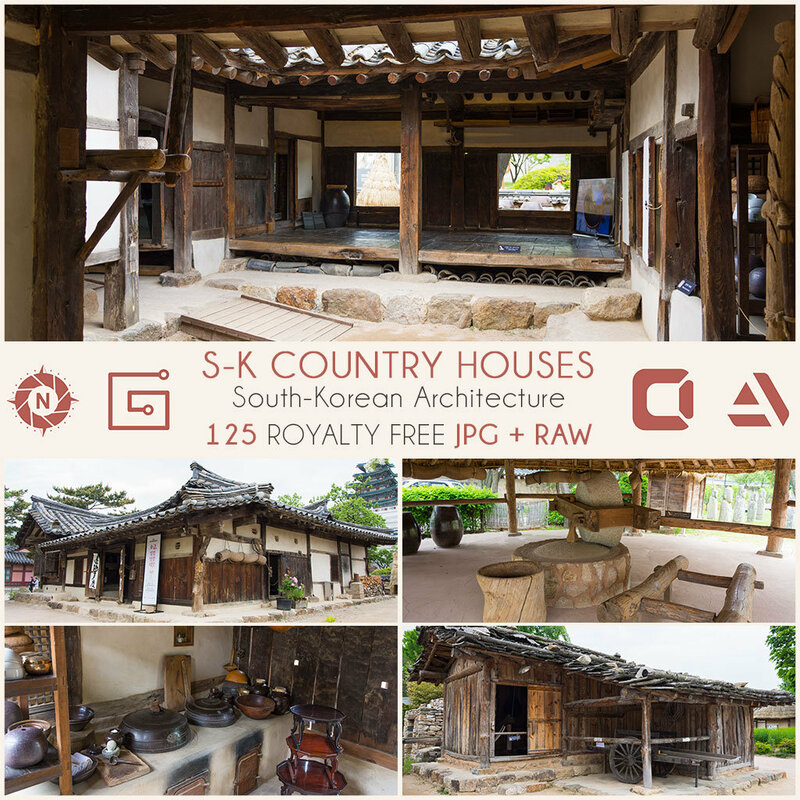 In this Photo Reference Pack you will find images about medieval South-Korean houses called Hanok in the country side (indoors, outdoors) plus props and elements from traditional SK villages. This street has been rebuilt to display a typical South-Korean city in the 70s. 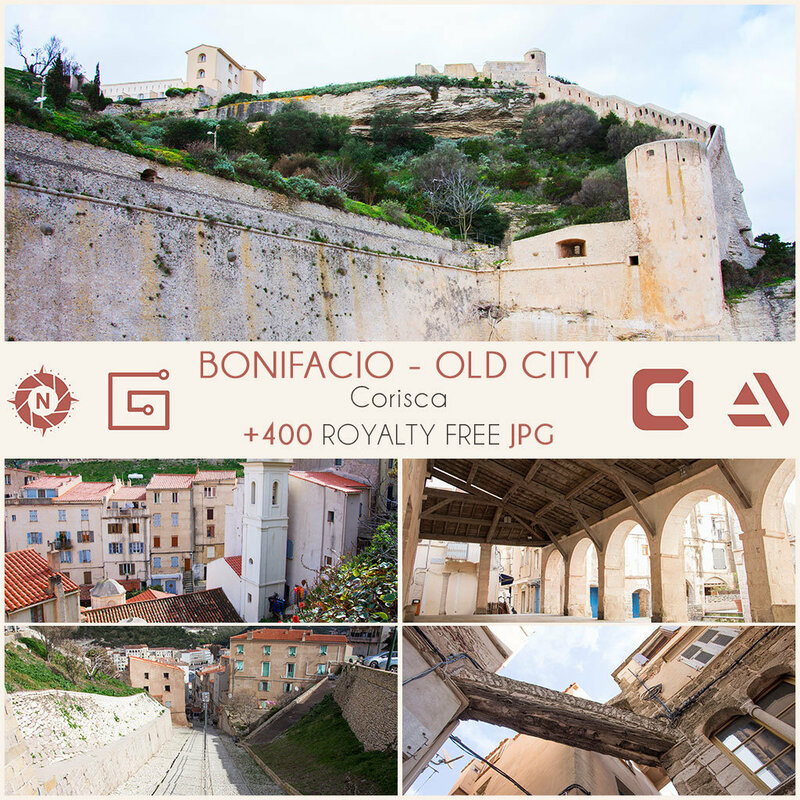 You will find inspiration to recreate some shops & restaurants from that time. 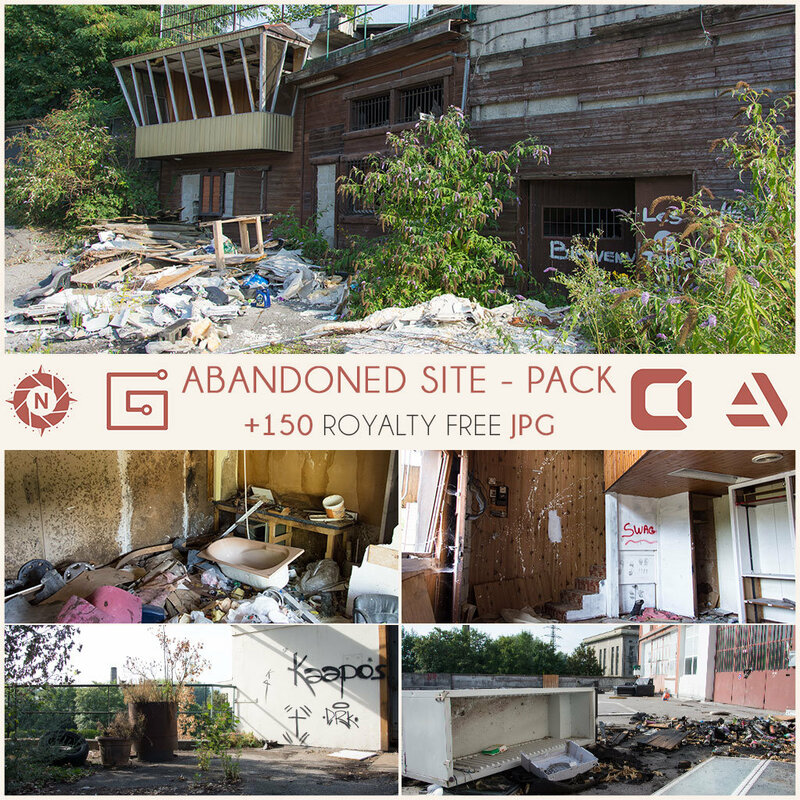 I shot the Photo Reference Pack: Abandoned site in Annecy (France). 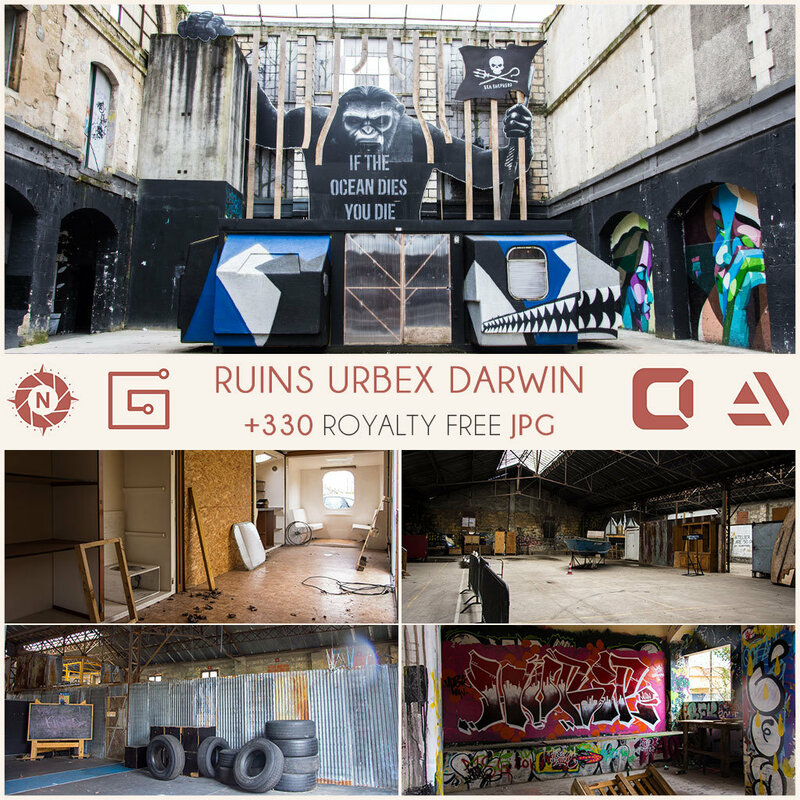 I couldn't figure out what was this place (except that it is probably now a squat) so I let your imagination creates its little story. Elements are not supposed to match with each other, a part of this place looks like a factory and another part looks like a control tower from an airport... mysterious. 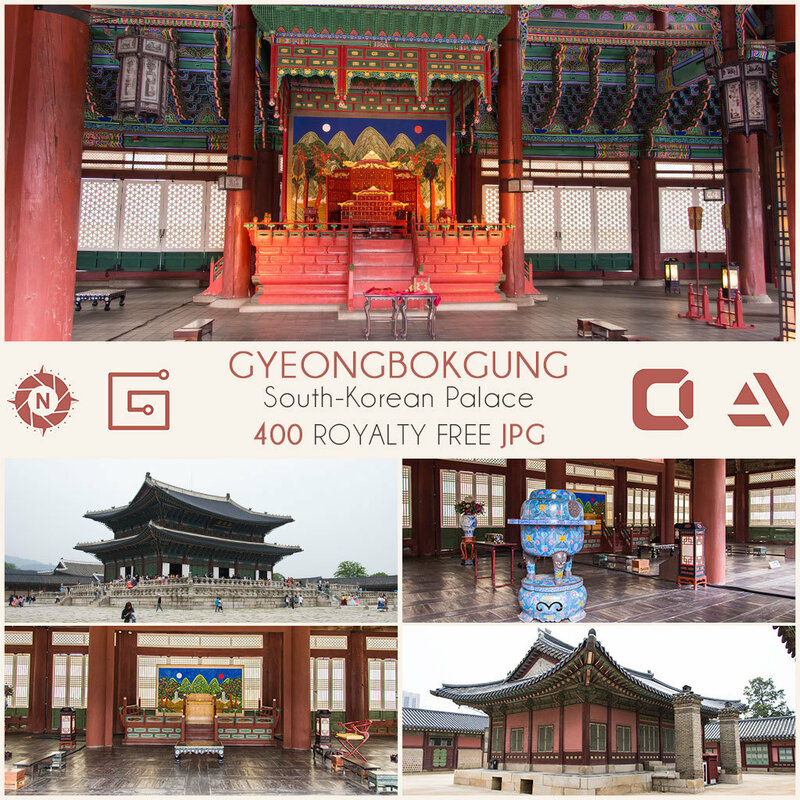 The Photo Reference pack Gyeongbokgung Palace is located in Seoul, South-Korea. 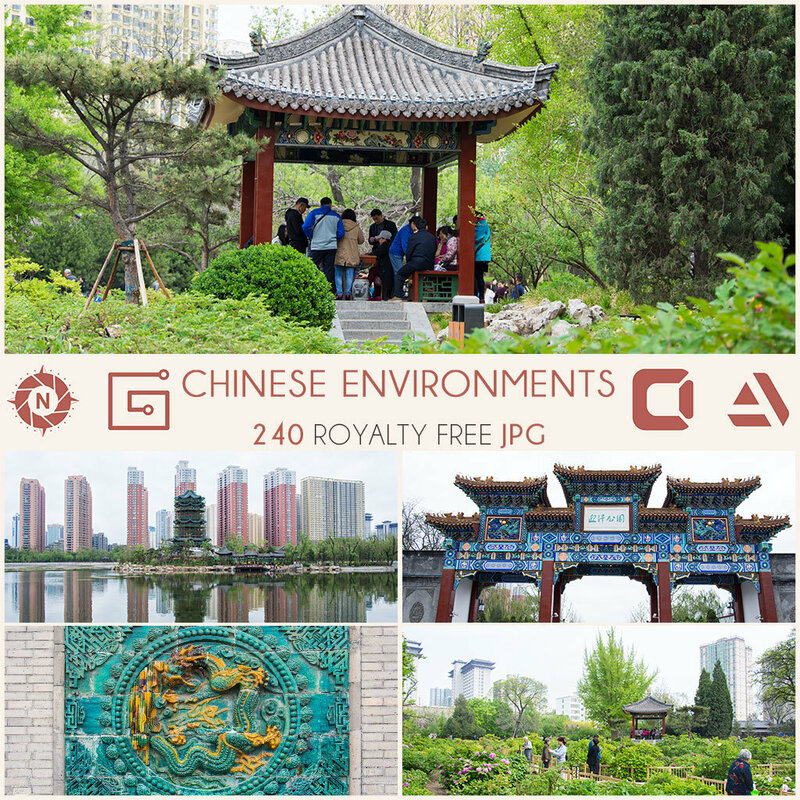 Its architecture is very close to the Chinese one. 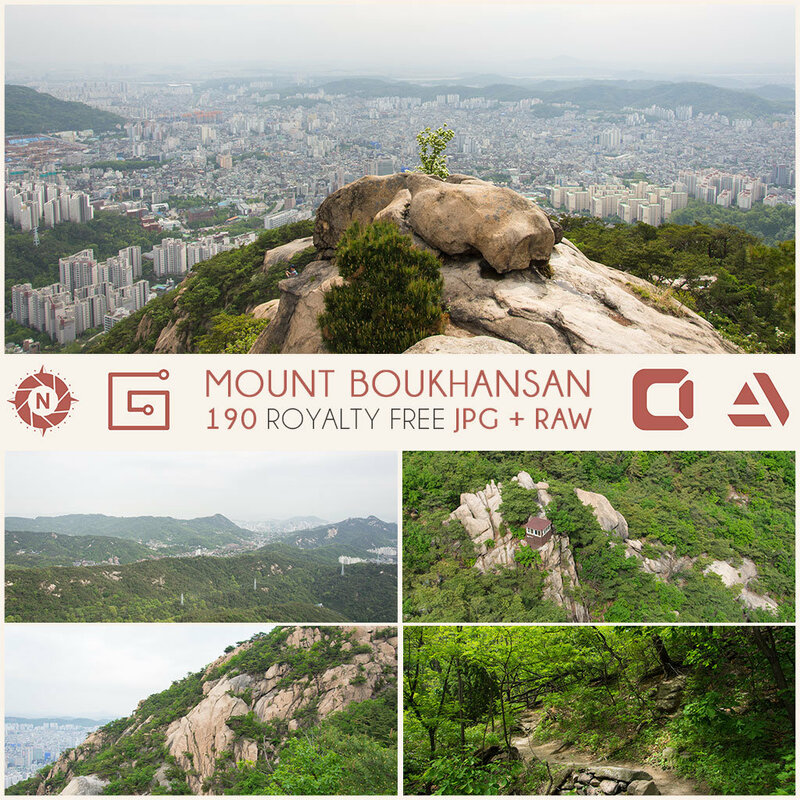 For the Photo Reference Pack Mountain trail I hiked on this trail at the Boukhansan Mountain in Seoul. The path starts easily with rocky steps under the cool weather of the pine tree forest. Then the more you climb the harder it gets, rocky steps put here by men are gradually replaced by the natural mountain path. Until you encounter the last chunk of the trail, one big steep rock that you have to literally climb using your arms and your legs. This view point must be deserved. 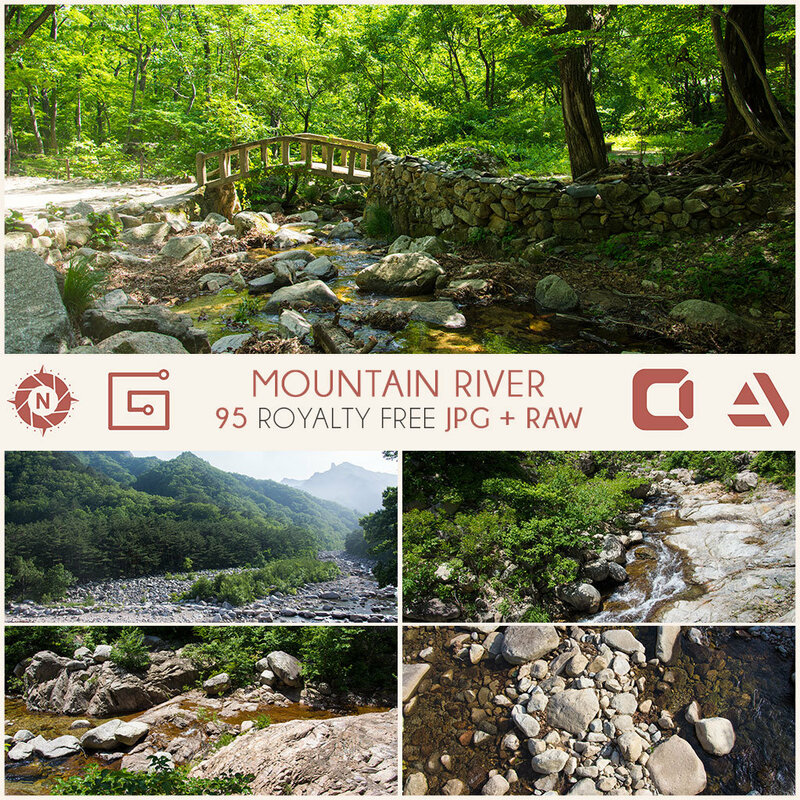 The Photo Reference pack Mountain river references a hiking trail located in South-Korea. From the bottom of the mountain where the river ends to the source in the forest, this pack is ideal to tell an exploration or fantastic adventure. 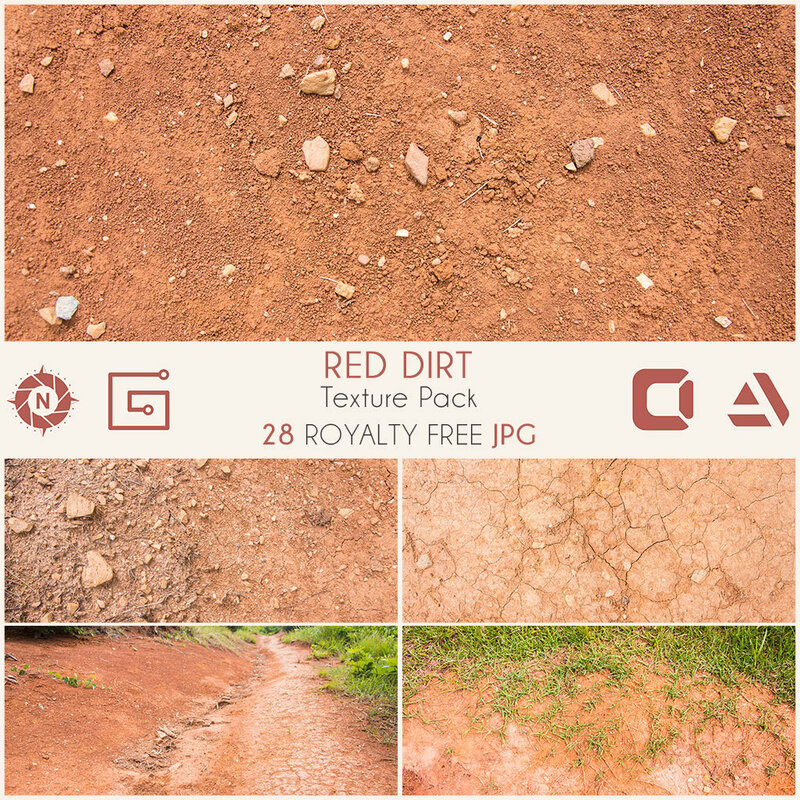 The Texture Reference Pack Red Dirt contains 28 JPG that details all of the situations where this material interacts with its environment, from the cracked dusted earth to the merging with the green grass. 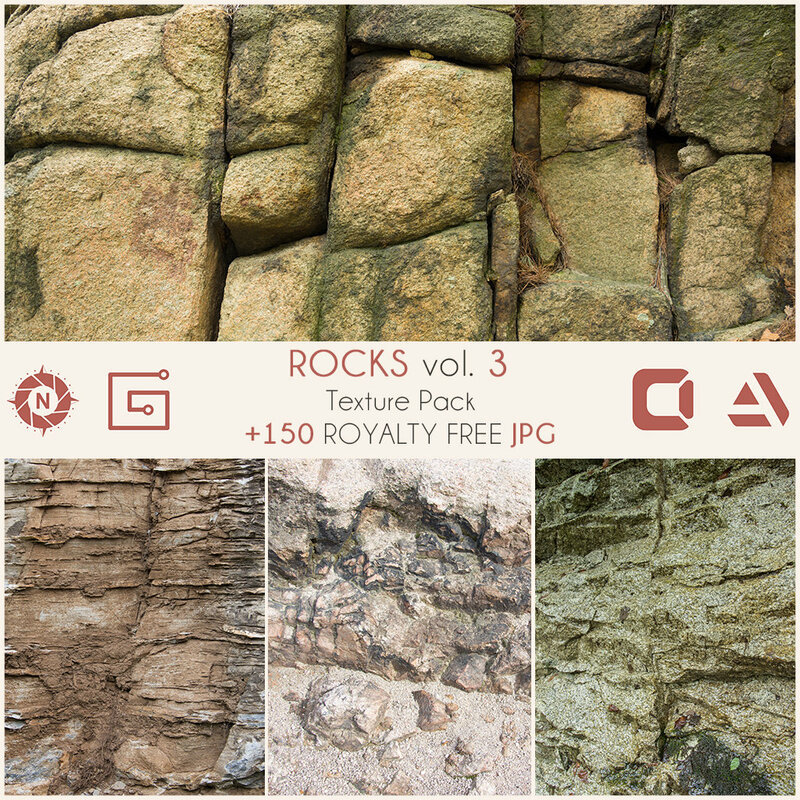 The Texture Reference Pack Rocks Cliff contains all you need to analyse this material. 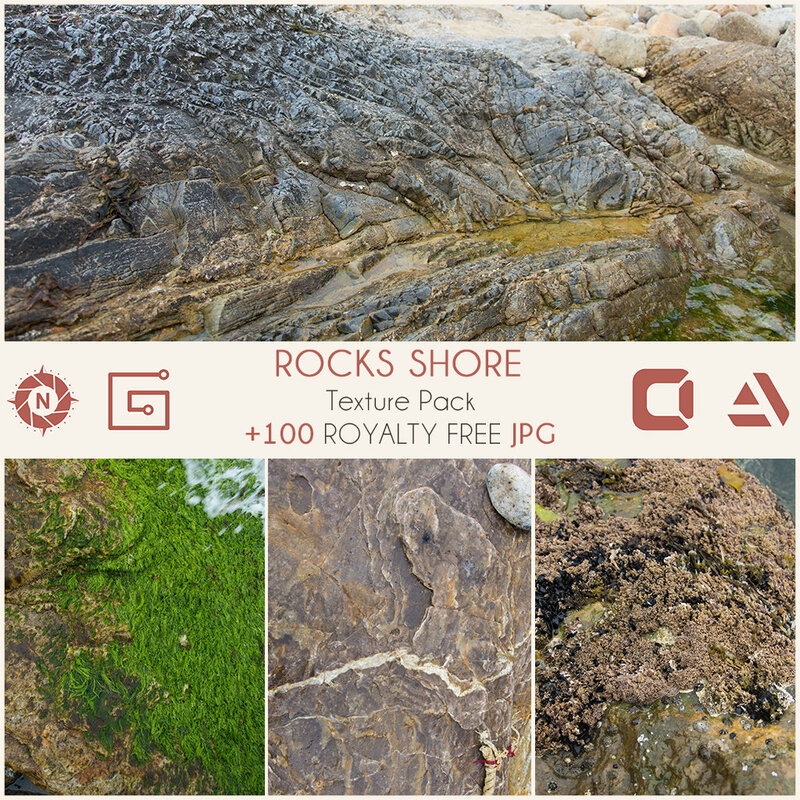 In nature, this materials blend with the sea and the land. A lot of smaller rocks have fallen to the bottom of the cliff to shape a natural uncomfortable beach. When the cliff touches the sea, a lot of tiny shells covers its surface mixed with seaweed. The albedo is composed of three main tints. 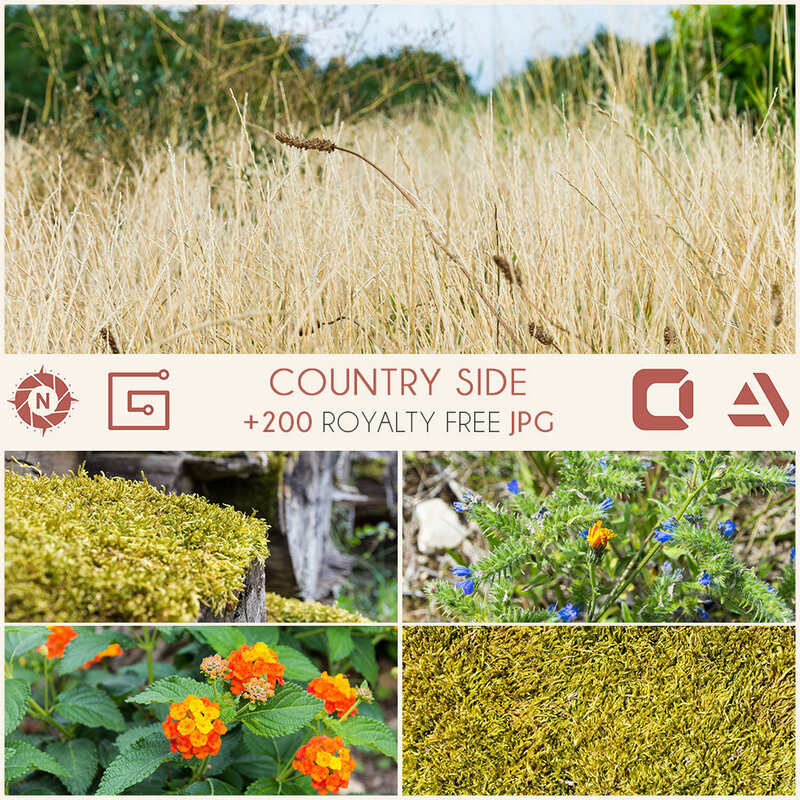 A light yellow to orange that contrasts with an aged brown blending with a grayish blue. About the cliff itself, the cracks are very different according to their position whether in depth or height. Some parts are very sharp and some others are on the contrary very soft, sometimes it even looks like someone painted, not on the cliff but the cliff itself. 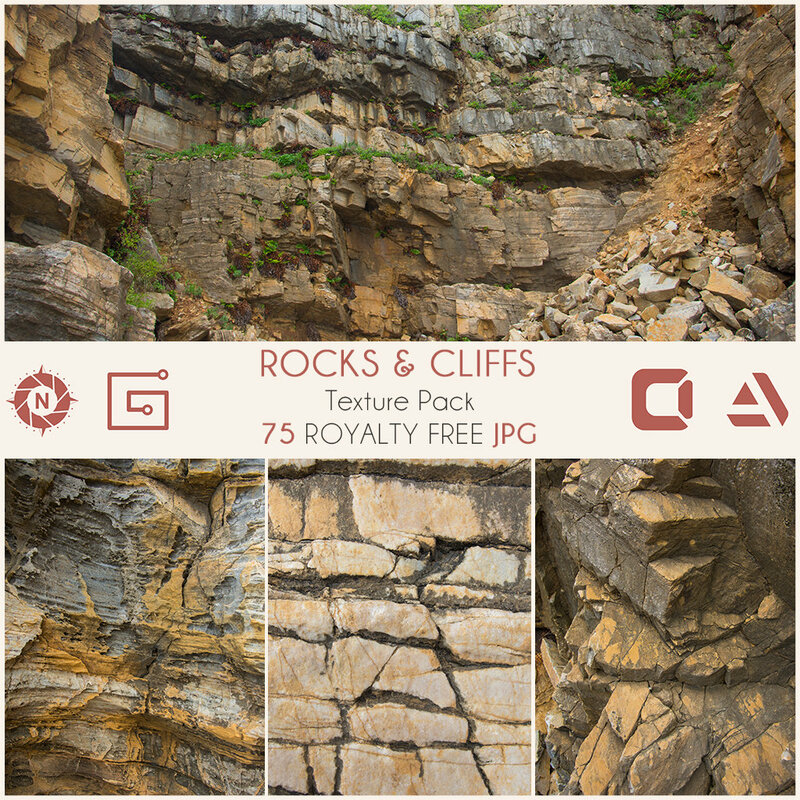 One thing for sure, this cliff is a wonderful mix between a lot of materials that you will find in this pack.